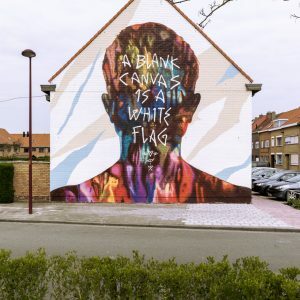 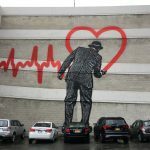 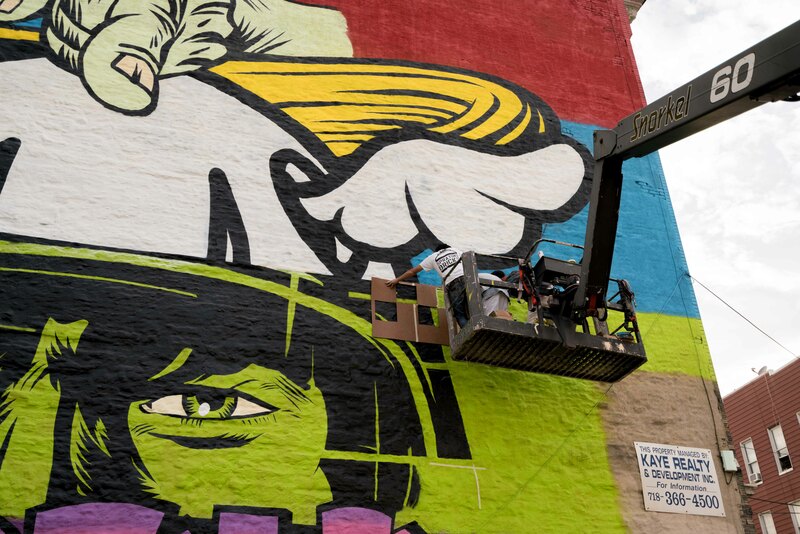 British street artist, D*Face, aka Dean Stockton, who has collaborated with Kaspersky Lab, just finished painting a major new permanent public artwork in Brooklyn, New York City. 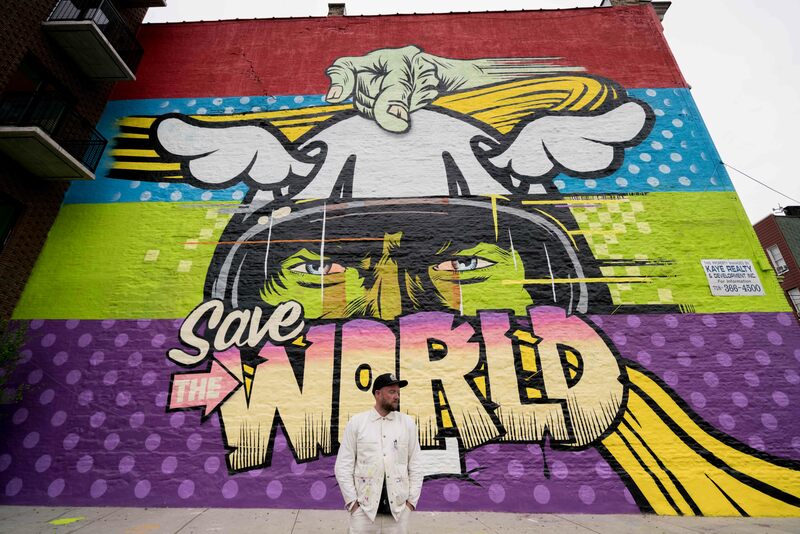 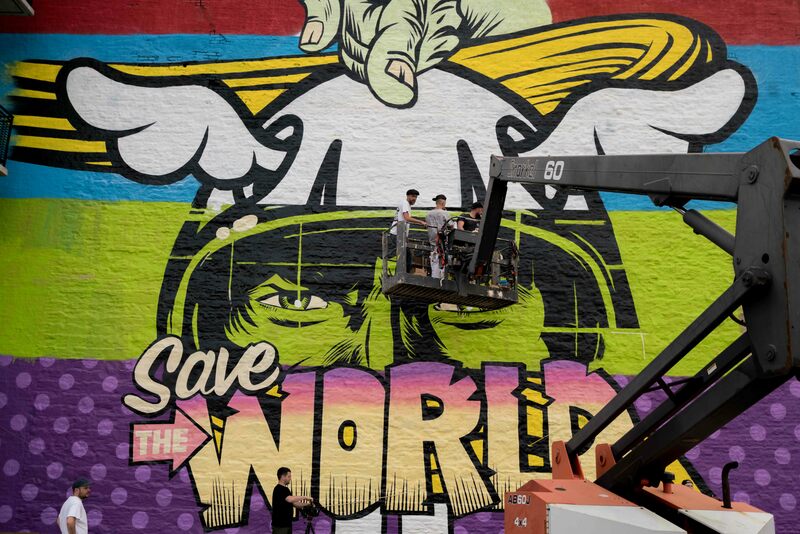 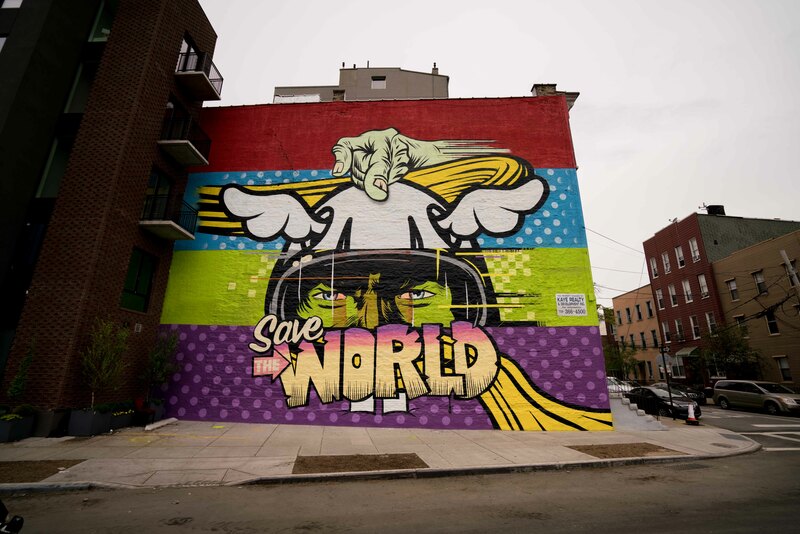 Painted over the course of an intensive week of work, D*Face’s 100ft by 50ft mural is entitled “Save The World” and if you are in the area, you’ll be able to find it on a prominent intersection on Eagle Street, overlooking New York’s East River. 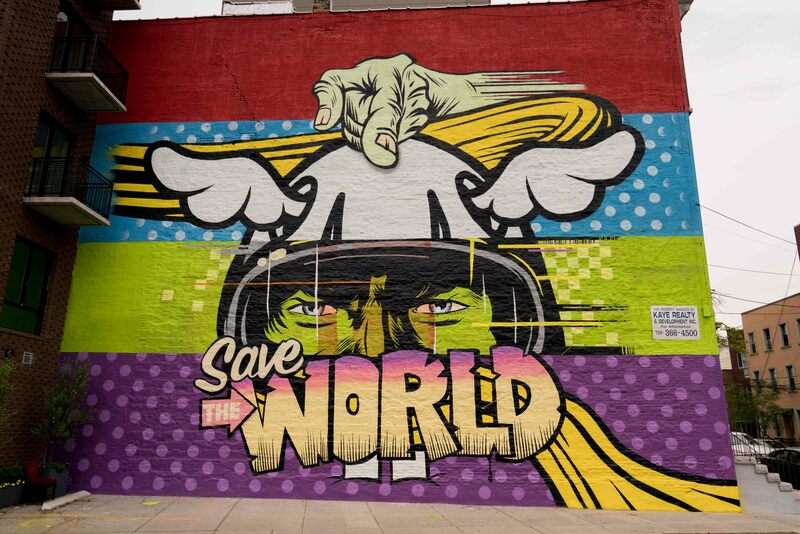 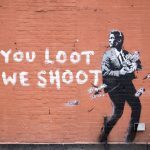 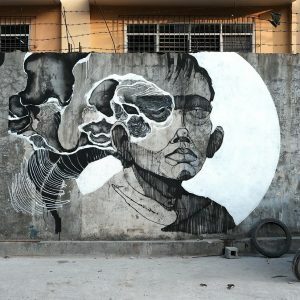 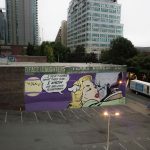 The Brooklyn mural forms part of a wide-ranging creative collaboration between the renowned multimedia urban artist D*Face and the cybersecurity business Kaspersky Lab. 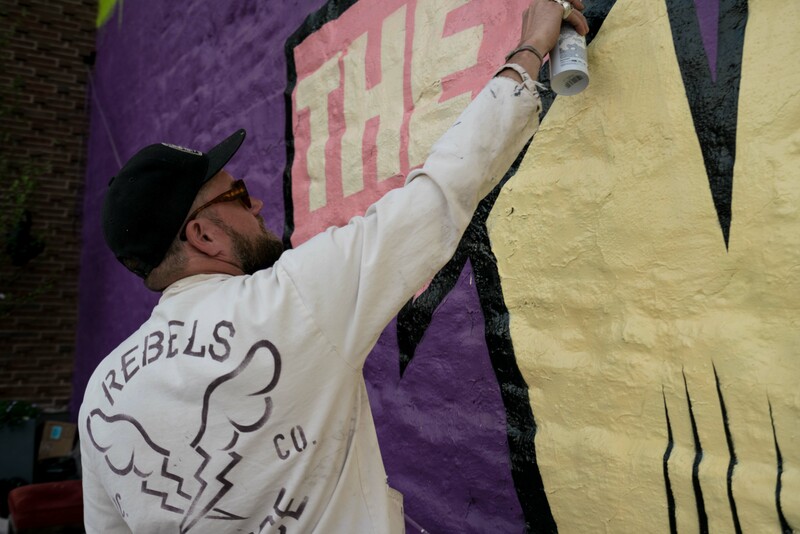 The artwork created by D*Face features the livery of the DS Virgin Racing Formula E team supported by Kaspersky Lab. 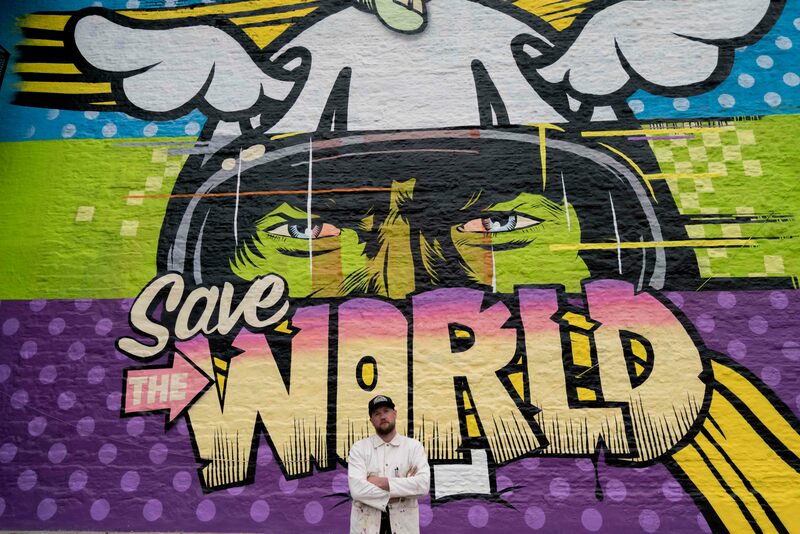 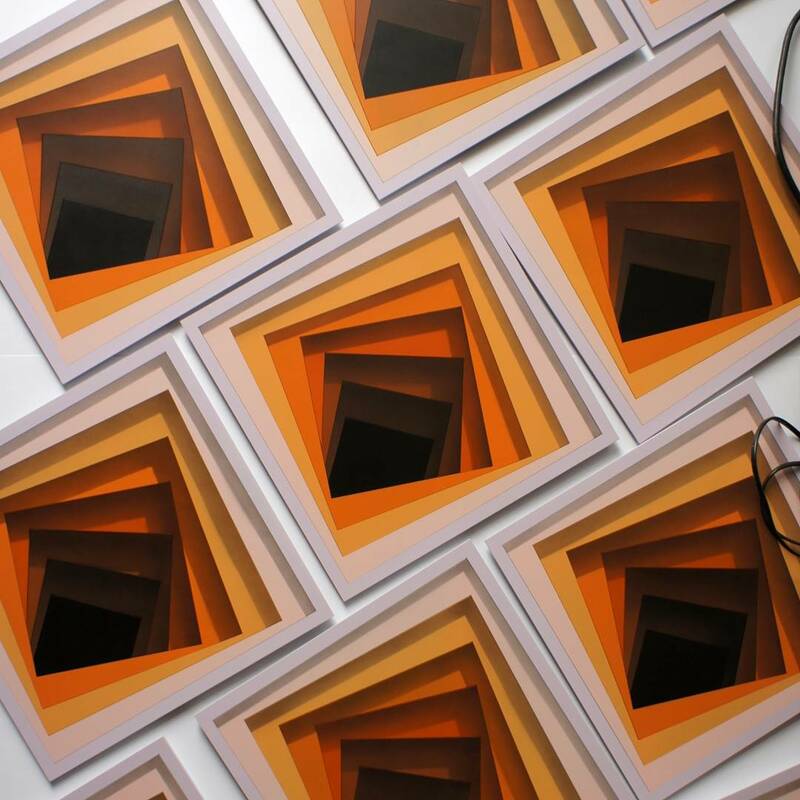 The artist will also produce a design for a special edition of the internet security brand’s market-leading Kaspersky Total Security v.2019 product, which will be released in October 2018. 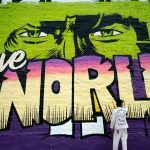 Continue reading to discover more images and then keep checking back with us for the latest updates from the streets of Big Apple.